To the mom who finds herself thinking, “this mom thing is way harder than I thought,” I am right there with you. I am having way more bad days than good ones recently and to be completely honest, I have some days where I wish I could just stop being a mom for a while. 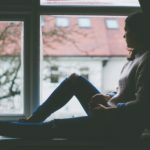 This is not a post where I share all the answers about how to get through the bad days. 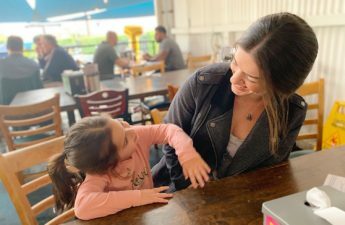 I wish I had those answers and I do believe they will come to me over time, but for now, I am right smack in the middle of learning how to be a mom to a toddler and a baby and some days are just plain messy (in every sense of the word). 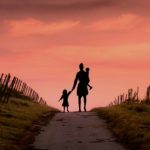 Since having our second daughter, I’ve noticed myself slowly losing appreciation for what I have. 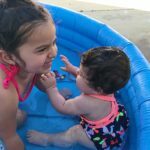 I find myself praying for bedtime to come and then, when I realize how bad that sounds, I feel an overwhelming sense of guilt for not enjoying the time I did have that day with my girls. I knew that two kids would be harder than one, but I underestimated it. Personally, I’m still struggling to find a good balance to all of this. 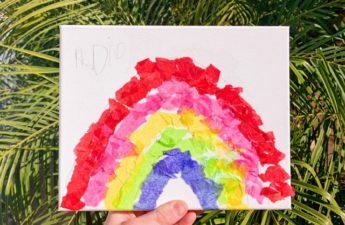 Before you become a parent, you hear other moms and dads talk about things like not being able to go to the bathroom alone or always having a third party in their bed or having to constantly answer questions for a curious, growing mind. It all sounds kind of funny – until you have kids yourself. Then, all those things can be incredibly overwhelming, and you can begin to lose your sense of self. Before our second daughter was born, I thought I had the mom thing down perfectly. Me and my then two year old daughter had an awesome routine and we just clicked. She was easy, took long naps and wasn’t the kind of two year old that got into things. I was able to walk out of the room to get something done without having to worry about her getting into trouble. Life was good. I had found the perfect balance of being a mom and still being me. Now, I am not only in charge of her but also this little baby that needs a lot of my attention as well. My days start early and then it all begins – a constant battle of trying to balance playing with them both, keeping up with everything in the house, cooking, washing bottles, making bottles, changing diapers and trying to time the baby and the toddler’s naps to be at the same time because that is the only time I get a small break. Some days, just the noise alone can make me want to run and hide. What I am realizing is that, for me, one of the hardest parts about motherhood is just how much everyone depends on me. As a mom, we have to be there for everyone all the time. There’s no days off and some of this just isn’t fun. As hard and as tiring as it is, I also realize the day is full of a million other things that are amazing. I love hearing my baby laugh and when she sticks those chubby little feet in her mouth. My heart feels like it’s going to burst when I see my toddler “read” a book to her baby sister. I love watching my toddler get excited and proud when she figures something out on her own. And absolutely nothing is better than when my older one says “I love you Mommy” for no apparent reason or gives me a huge hug out of nowhere. I know that it isn’t healthy for me to continue the way I’ve been thinking. I need to stop getting stuck in the negativity and the frustration. I find myself wishing for the day when I don’t have to change diapers anymore, or the day that my toddler can dress herself, or the day where they just don’t need me 100% of the time. However, I know I can’t focus on what I am not getting done in the day or what my girls can’t do yet. I have to make a change. I know it won’t be easy but I don’t want to look back on these days and be reminded of how angry and frustrated I always was. I don’t want to regret appreciating all the things that are also extremely awesome about this part of motherhood. 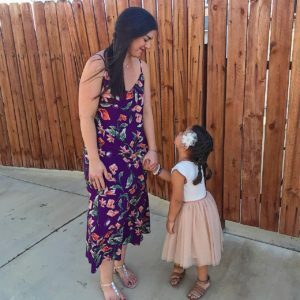 I want my girls to have memories of a mom who is positive and encouraging. I am FAR from perfect and I know that I will have bad days (lots of them, I’m sure) but it’s how I learn to handle those bad days that will make me a stronger person and a better mom and wife. I’ve heard these words a lot and read about how this simple phrase has helped other moms get through some of the bad times and I get why. At a time when I want to break down because I’ve had too much, I want to remember these words because I know it’s true. Everything eventually will pass and us mom’s are much stronger than we give ourselves credit for. There have been many times where I wonder if I can do this; if I can really get through all the hurdles of motherhood. 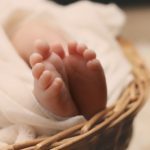 In those early weeks after we had just brought our second baby home, I kept wondering if I had made a mistake. Maybe I shouldn’t have had a second baby? Maybe I wasn’t cut out to handle everything that having two kids throws at you? Deep down though, I know I am. I know that I will be okay. This is something I used to consider myself pretty good at. I pray every morning when I wake up and every night before I go to bed and the first thing I pray about is how thankful I am for the people and the things I have in my life. I noticed, though, that I’ve been praying more out of habit instead of genuinely feeling that gratitude. I know I have a lot to be grateful for, I really do. 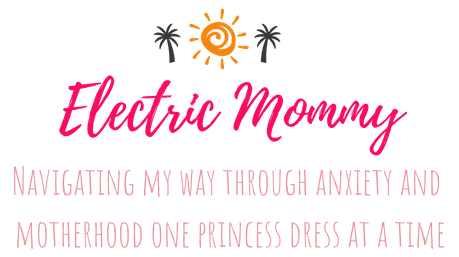 I don’t mean to sound incredibly negative here but I thought it was important to share how frustrated and overwhelmed we can feel as moms too. I’ve just been so caught up in the stress and the chaos of life with a baby and a toddler, that I’ve forgotten how much I really should appreciate what I have. That’s why I vow to make these changes ASAP. I want nothing more than to give my girls all the love and positivity that they give me. What helps you get through the bad days? easiestI cry! Sometimes I give myself a time out. My “babies” are 15,12&9 years I hate it when people say bigger kids, bigger problems. It’s just different problems. Each child has dramatically different personalities. My two boys are so different that even teachers are shocked, and they’ve taught siblings before! Yep, I know it’s the same DNA, but it does seem hard to believe. Don’t get me wrong; I LOVE all my children from the bottom of my heart, but perhaps if I could just give one third of each one back…. LOL. This post is truly a godsend that popped up through pinterest. 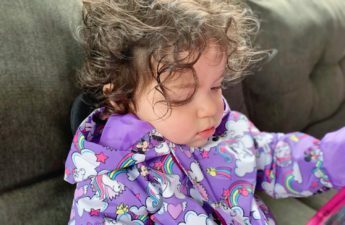 I have a 2 year old and almost 1 year old and I feel defeated EVERYDAY; even if it’s just in one small way. We can go the entire day without a hitch and before you know it, I’ve lost my cool and yelled because both kids are pouring cups of water out of the bathtub as I’m getting their tooth brushes ready. I’ve been telling myself for over a year that I needed to change. I’ve constantly tried for three days now to follow similar goals; so believe me when I say that God sent your post my way this morning to reassure me that everything is going to be ok and that everyone goes through this at one poont. I am so so glad this could help! It is so hard being a mom sometimes. I wish more people would talk about how tough it is so we don’t feel alone or guilty about the way we feel. I’m trying to follow those goals but man, it is incredibly hard. It takes a big conscious effort on my part. I don’t always feel like I am doing my best but you know what matters most, is that our kids are loved and have a safe place to call home. Wish you all the best! I’m not alone! Thank you! I’ve been going thru a stretch of bad days with a 4yr old and 1yr old. I’m so tired. I will have to do better at practicing gratitude because I want my girls to have a happy mom. I will stand in front of the mirror if I have to “This too shall pass. I will be ok. … This too shall pass. I will be ok.” I saw this on pinterest. Thank you for the help! Right, you are definitely not alone! Thank you for stopping by to read this. This mom thing is tough, tougher than I could have ever imagined. My hopes are that more people talk about how hard it can be so we don’t have to feel bad or guilty for having tough days. It is an overwhelming feeling sometimes knowing that these little people need us 24/7. I obviously wouldn’t change it for the world but reminding myself during the bad times that this will pass, has helped me tremendously. Wishing you all the best mama! I came across your pin this morning and I just wanted to reply and say “Thank You.” I couldn’t have put it any better. I am a mother of a 5 month old and a 22 month old. There are definitely days when I long to have just 10 mins to myself? But I am often overwhelmed with the guilt of feeling as though I need to appreciate every moment and just be thankful. While I love my boys to pieces, I feel as though u have lost my sense of self. Anyway, without going into any more detail, I just wanted to reach out and let you know you are not alone. Thank you for posting this! I know all to well how you feel. Ive been there. My two are 21 months apart and it was tough. What helped me to tackle things without guilt: do only the necessary chores, clean only what can hurt the kids then go out exploring the world together: the park, zoo whatever you like that’s nearby. There will always be cleaning and chores. What’s the worst if it doesn’t get done? The kids don’t care about the mess they care about you. In no time at all they will be grown. Mine are 4 and 2.5 now with a 3rd on the way. The time flies and I still look forward to their bedtime so I can get a break. You’re a great mom, forgive yourself and find something special about each day. On a side note. If you can have your eldest help with the chores like cleaning up small spills. She will be so happy to help. You are not alone, you’ll get through this. And your love will only grow . I swear you were in my mind and took every single thought I had. I always try to tell myself this too shall pass and that this is just temporary. In times that I want to scream and pull my hair out because my 3 year old cries out for me in the middle of the night, as sleep deprived as I am, I have to be thankful that she still wants me. And I try to tell myself “one day she won’t call out for you and when you try to go into her room, she’ll want you out.” Thank you for posting this and being real. I honestly thought I was the only mom with these thoughts. 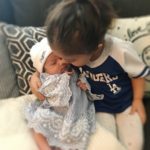 the mom guilt is real, but we are doing our best!! 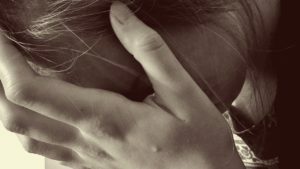 Yes, the mom guilt can really mess with us! You sounds just like me! I try and remind myself all the time that one day my little ones won’t need me the way they do now and I will probably miss these days. But my baby is teething SO bad and lately, I want to run and hide. I’m just trying to take my own advice and remind myself that this too shall pass. Wishing you all the best mama and thank you so much for reading this and sharing your story! It’s like I was meant to find this post today. After another long day of cleaning, cooking, and take care of my 15 month old I’m tired and have been in a slump. It’s hard to admit that I’m struggling with motherhood. I’m just glad I’m not alone with these feelings. At least things will get better, really appreciated your post! I really needed this today. It’s hard to never have a second to yourself and yet still feel so alone. I know every mom goes through this but it’s hard to feel that way when most people are afraid to share anything real in their lives. Thanks for sharing and I hope those bad days are getting fewer and farther between.